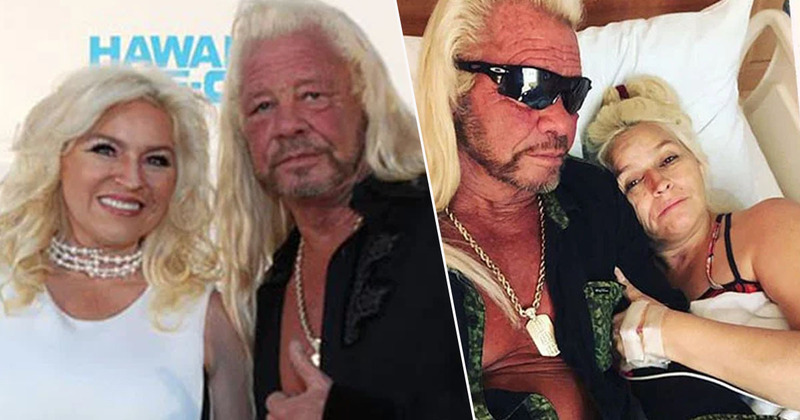 Beth Chapman, the wife of Dog ‘the Bounty Hunter’ Chapman, was rushed to the hospital in Hawaii amid her cancer battle. The 51-year-old reality TV star was taken to hospital on Saturday, April 6 after suffering ‘serious breathing problems’. Beth was diagnosed with stage II throat cancer in September 2017 and battled through chemotherapy treatments in LA in December. She announced she was cancer-free at the end of 2017, but in November 2018 doctors discovered the cancer had returned and spread to her lungs so she underwent emergency surgery. It was then that the reality star revealed the cancer had returned and was incurable. Since, Beth and her husband – whose real name is Duane Champan – have celebrated becoming great grandparents and are working on a new series for WGN called Dog’s Most Wanted, in which the couple track down suspects on FBI, US Marshals and State Most Wanted Fugitives lists. So the ill health Beth has suffered will surely come as a real blow to the whole family. But she’s a ‘fighter’, according to sources close to the TV star couple. Beth Chapman has been rushed to a Hawaii hospital with serious breathing issues. She hasn’t been feeling well of late and Dog is by her side. One thing everyone knows about Beth is that she’s a fighter. Dog spoke to Us Weekly exclusively in December about his love for his wife of 12 years and staying strong for her. I don’t listen to the bad news. I don’t want to hear it. I pray a lot, anywhere. I cry all the time. I’m a sinner. I pray a lot. I have done double that. I constantly ask God to heal my honey and make sure He takes care of it. I’ve been telling Him that I’m going to try and quit smoking and cursing. I’m a dealmaker, and I’ll do anything. Dog’s Most Wanted is expected to debut later this year. Meanwhile, Beth is spending time with the family. We send them all the best at this tough time.